From 19 March 2017, there will be a number of changes to services around North Tyneside and in parts of County Durham. Many of these changes are to improve reliability, taking into account increasing levels of traffic congestion to make sure that your services run on time. There are a number of improvements to services being introduced, including new links and increased frequencies. Details of the changes and services involved, along with links to new timetables, are below. There will be some small changes to the times of Coaster services 1/1A to improve reliability. Monday-Friday 6.52am journey from Whitley Bay will now commence from North Shields West Percy Street at 7.15am. Saturday 6.56am and 7.26am journeys from Whitley Bay will now commence from North Shields Northumberland Square at 7.19am and 7.49am respectively. Most journeys are slightly retimed, to improve the reliability of your service. Due to increasing traffic congestion, journeys at peak times are retimed by up to 15 minutes to ensure they run on time. There will be some minor changes to the times of Blue Arrow service 11 to improve reliability. There will be some improvements to service 13, with the frequency of this service increasing so that it runs up to every 30 minutes on Monday-Saturday daytimes, giving more fast buses direct to Durham from Langley Park. Service 14 will continue to run hourly. Service 14 will no longer serve Kingsway or Eastern Avenue in Langley Park (except for two late evening journeys which will continue to serve Kingsway). The increased service 13 will continue to run to Kingsway and Eastern Avenue in Langley Park, maintaining two buses an hour to this area. There will be a small changes to the times of some journeys on Angel service 21 to improve reliability. Monday-Friday journeys at 7.37pm and 7.47pm from Newcastle to Chester-le-Street are replaced by one journey at 7.42pm. Monday-Friday journey from Durham at 6.33pm to Newcastle is retimed to run at 6.37pm, which replaces the 7.02pm journey from Chester-le-Street to Newcastle. Sunday journeys from Durham towards Newcastle will run up to 10 minutes later. An extra journey will run on Sunday evenings, running at 8.20pm from Newcastle to Chester-le-Street. The current journey at 8.10 from Newcastle to Durham is retimed to run 10 minutes earlier. All journeys on a Sunday which terminate at Chester-le-Street will terminate at Red Lion, no longer extending to Black Horse. There will be some minor changes to the times of service 28, 28A and 28B to improve reliability. Evening journeys on service 28B which terminate at Birtley will be extended to run along Durham Road, terminating at Coach and Horses. There will be some minor changes to the times of service 34 & 34A to improve reliability. There will be some small changes to the times of indiGo services 40 and 41. Additionally, the following journeys will be amended due to low passenger numbers. Monday-Friday service 40 at 6.39am from Hadrian Park will now commence from Tynemouth Road at 6.48am. Monday-Friday service 40 at 7.18am from Tynemouth Road will no longer run. Saturday service 41 at 6.17am from Hadrian Park and 6.36am from Wallsend will no longer run, with the journey at 7.16am running 10 minutes earlier. 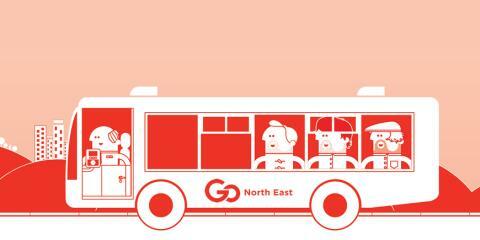 Saturday service 40 at 7.25am from Tynemouth Road will no longer run. Some other early morning journeys are retimed by up to 4 minutes, and most evening and Sunday journeys are retimed by up to 3 minutes. There will be some improvements to service 42. Journeys which currently terminate at Benton Asda will be re-numbered 42A, and extended from Benton Asda to Kingston Park, via Killingworth, Dudley, Wideopen, Dinnington and Newcastle Airport, offering a number of new connections. Due to traffic congestion around Cobalt, there are also some changes to the timetable to improve reliability. Because of increasing traffic congestion, journeys at peak times are retimed by up to 15 minutes to ensure they run on time. Depart North Shields at 6.56pm, 7.56pm, 8.56pm and 9.56pm. Depart Middle Engine Lane at 8.13pm, 9.13pm, 10.13pm and 11.13pm. There is no change to journeys which run to/from Newcastle and there is no change to the Monday-Saturday timetable. There will some exciting changes to service 353. The service will be re-numbered 42A, and from Forest Hall will run to Benton Asda, instead of Four Lane Ends. From Benton Asda, the service will run to Wallsend, Cobalt Business Park and North Shields, offering a number of new travel opportunities. From the same date, the service will also be reinstated to Newcastle Airport terminal building. On Monday-Friday, the journey at 7.10am from Chester-le-Street to Durham will no longer run due to low passenger numbers. Passengers travelling at this time can alternatively use Angel service 21, departing Chester-le-Street at 7.04am or 7.19am. Journeys on a Sunday between Bishop Auckland and Durham are retimed by up to 10 minutes, to improve reliability. There are no changes to any other journeys. Most journeys are retimed by up to five minutes, to improve reliability. There will be additional earlier and later journeys between Durham, Chester-le-Street and Metrocentre on a Saturday, making it easier for you to get to and from Metrocentre for shopping, leisure or work. There is no change to the route of the service. The Saturday morning journey which runs from No Place at 7.59am to Stanley will continue to run, but will be numbered 8 instead of X31.